Professional Craftsmanship. Our specially trained Body Shop Professionals have all the parts, tools & expertise to repair your vehicle's damage. Let our pros fix it right...the first time. Fast, Easy Service. You don't want to wait any longer than necessary to get your Toyota back or other makes of vehicles. Yokem Toyota is a recommended body shop by several major insurance companies. 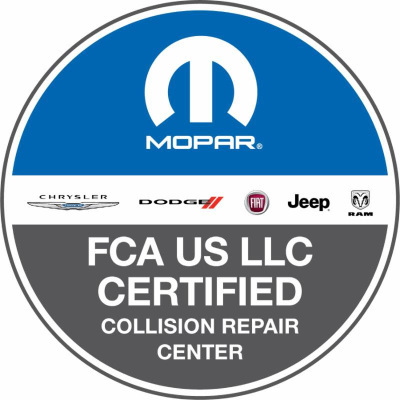 Yokem Collision Center was chosen from over 200 Certified Toyota Collision Centers from across the country. Here at Yokem Collision Center we make the accident you were involved in a thing of the past. You want your vehicle as good as new, so let us take care of it for you. Our customers live busy lives and the stress associated with an accident is something no one wants. Getting your car or truck repaired through Yokem Collision Center is the “BEST” way to limit any unwanted stress with your insurance or rental car company. Yokem Collision Center pushes the standards in collision repair. We were recently awarded one of the top preforming facilities in the United States. Other shops might be able to fix your problem or make your experience enjoyable but we can guarantee both the first time. Locals have loved us since 2001. Get all of your repairs done through Yokem Collision Center and leave with “peace of mind” that you had the best repair, best service, and the shop truly cares about giving you the best for yourself and your vehicle.